A Filipina domestic worker in the United Arab Emirates will become an owner of a house and lot, thanks to the generosity of her employer. According to The Khaleej Times, Dina Tenerife Celo, 45, worked for Melissa McPike, an American who acquired UAE citizenship after marrying a local man. She arrived for McPike’s family in Khalifa City in 1998 after working in Saudi Arabia. McPike gave her AED23,000 (P316,000) for a lot in her hometown in Camarines Sur and will pay for the construction of a two-bedroom house. “We do not consider her as an employee. She is one of our family,” said McPike, who is now divorced from her husband. 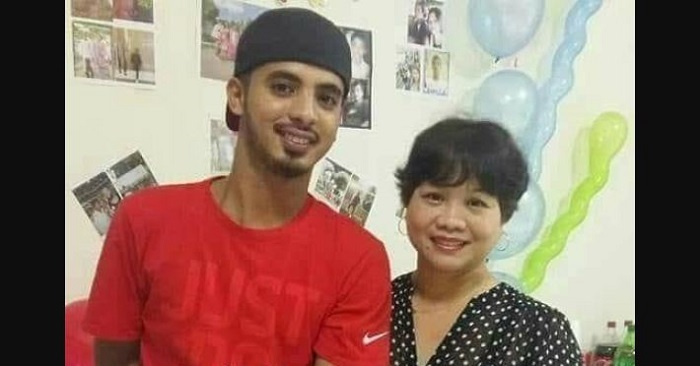 Celo will take a year’s worth of leave and flying to the Philippines, along with McPike’s son Saeed Al Muhairi who will join her to supervise the construction. Celo’s first stint with the McPike started when the employer’s children were 6 and 4 years old. When her contract ended after two years, she moved to Saudi Arabia until 2014 and worked in supermarkets and cafes. Despite moving to a new country, Celo and McPike maintained their communication. In 2014, she was back to working with McPike and has stayed since. ”I have had many other housemaids. But none were like Celo. She is trustworthy to the point that I even leave my debit card with her. She is hardworking and worked for us as though she belonged here. Even my children adore her and call her Aunty,” McPike said of Celo’s work performance. Meanwhile, the house in the Philippines will be placed under the name of Celo’s son Ryan. Celo said McPike and her sons are invited to stay at her new home when it is finished.